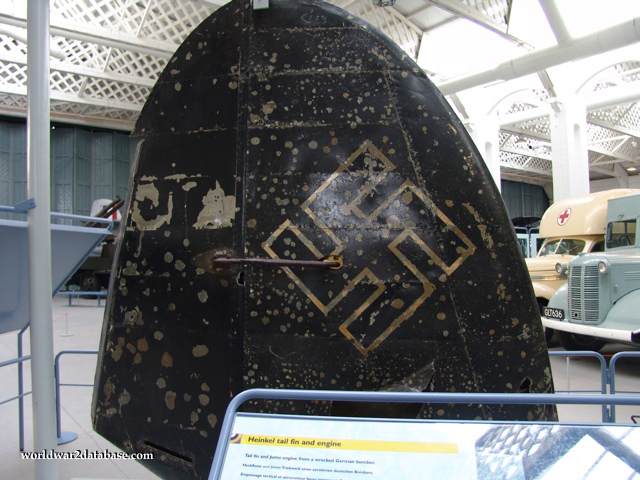 This aircraft, possibly serial number SR2117, was shot down on April 26, 1940 over Storvatnet Lake, Norway following an abortive attack on a Royal Navy destroyer. Based in Hamburg until the Invasion of Norway, it was part of the first Squadron of the 122nd Reconnaissance Group, which flew both the He-111 and the Junkers Ju-88. The tail fin and engine were recovered by an RAF dive team in 1974 with other parts, including the wheels and fuselage, which went to other locations.